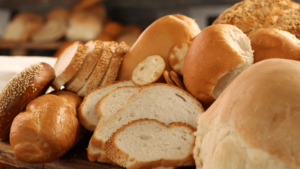 PrJSC Kyivkhlib, the largest capital producer of bread and bakery products, received a net loss of UAH 2.76 million in 2018 against a net profit of UAH 15.27 million a year earlier. According to the company’s announcement of a general meeting of shareholders scheduled for April 22, its assets decreased by 11% last year, to UAH 688.22 million. The total debtor indebtedness over the year declined by 25.5%, to UAH 303.43 million. By the end of the year, the retained earnings of Kyivkhlib amounted to UAH 87.31 million. PrJSC Kyivkhlib was established in 1996 by transforming state-owned enterprise Kyivkhlibprom. It consists of nine production sites in the capital and Kyiv region. The mobile communications operator lifecell in 2018 saw UAH 1.301 billion in net loss, which is 2.58 times more than in 2017 (the loss of UAH 503.6 million), according to financial statements of its parent company Turkcell (Turkey) posted on its official website. Revenue of the operator grew by 8.06%, to UAH 5.269 billion. Earnings before interest, taxes, depreciation and amortization (EBITDA) rose by 8.2%, to UAH 2.762 billion, and EBITDA margin increased 25.2 percentage points, to 52.4%. Capital investment of the operator in 2018 tripled, to UAH 4.032 billion, while in 2017 the operator invested UAH 1.33 billion. The active subscribers’ base last year narrowed by 8.8%, to 7.3 million clients, and total number of subscribers in the network of the operator decreased 10.8%, to 9.9 million. Average revenue per user (ARPU) grew by 26.6%, to UAH 42.80, and ARPU of the active clients’ base rose by 20.1%, to UAH 57.30. 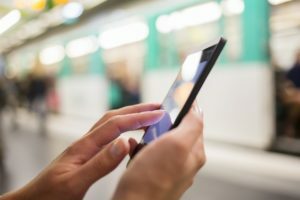 The number of minutes used by subscribers for voice data transfer grew by 12% in 2018, to 144.9 minutes. Saturation of smartphones in the lifecell network as of late Q4 2018 reached 75.9%. In the fourth quarter of 2018, the net loss of lifecell increased 4.07 times and amounted to UAH 730.1 million, while revenue grew by 11.6% to UAH 1.417 billion. EBITDA increased by 3.37 times, to UAH 1.084 billion, while EBITDA margin rose by 50.4 percentage points, to 76.5%. Capital investments in the last quarter of 2018 amounted to UAH 933.3 million, which is 2.25 times more than in the same period of 2017. The Turkish company said that EBITDA growth was thanks to effective cost control measures, as well as the positive impact of the new IFRS standards. At the same time, the company continues saying that the outflow of the subscriber base is mainly due to the general trend of reducing the use of SIM-cards in the country. In addition, the operator reported on the increase in the number of active 4.5G Internet users (lifecell) for three months to 33% of the total number of mobile data users, and also that lifecell was the first in the Ukrainian market to deploy the NB-IoT network for smart devices. As reported, in 2018, lifecell saw net loss of UAH 503.6 million compared to UAH 928.3 million of net profit in 2016, while the operator’s EBITDA in 2017 decreased by 2.2%, to UAH 1.326 billion. Lifecell is the third largest mobile operator in Ukraine. ASKA insurance company (Kyiv) has paid UAH 1.635 million to an agricultural enterprise for the loss of apple harvest, the insurer has said in a press release. 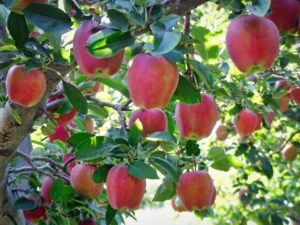 According to the report, in July 2018, it rained with thunderstorms and hail in the territory of the insured gardens, a significant part of the apple harvest was damaged and lost. “After the hail, a significant part of the apple harvest, which should be sold fresh, could only be handed over for processing. Another part of the fruit was completely destroyed. Deltafruit suffered significant losses,” Anton Ruban, the owner of the agricultural firm, said. Three of the five insured sites were also affected. In the first two, due to hail, harvest quality deteriorated by 83-85%, and losses in both the quality and quantity were obtained in the third site. “ASKA compensated for the loss of quality at the rate of UAH 5.6 per each kilogram of apples. The compensation cost for the lost amount is UAH 3.6 and UAH 9 per kilogram, respectively. These estimates are specified in the insurance contract and depend on the apple variety. On January 18, the client received 70% of the payment, the rest of the money was transferred in stages. We completed the settlement early February,” Corporate Insurance Director for ASKA Olena Shustur said. ASKA said that this is the first case of such a large-scale payment in Ukraine related to damage to the harvest of fruit trees. The damage was caused by hail, secondary diseases due to hail, and most importantly, damage from the loss of commercial quality of fruits, which accounted for most of the damage, was also covered. Milkiland, a dairy group with assets in Ukraine, Russia and Poland, in January-September 2018 saw EUR 13.42 million of net loss compared with EUR 4.55 million of net profit a year ago. According to an unaudited report of the group posted on the website of the Warsaw Stock Exchange (WSE), revenue over the period fell by 6.6%, to EUR 98.8 million, and gross profit – by 24.4%, to EUR 15.92 million. Earnings before interest, taxes, depreciation and amortization (EBITDA) grew 1.8-fold, to EUR 4.38 million. Milkiland in January-September 2018 saw EUR 3.41 million of operating loss compared with EUR 3.01 million of operating profit a year ago. The loan portfolio of the group was EUR 86.2 million as of September 30, 2018 compared with EUR 86.6 million as of late 2017, mainly thanks to repayment of the indebtedness under the restructuring agreements with Ukrainian and Polish banks. Net debt of the group declined by 1%, to EUR 85.7 million as of September 30, 2018. The Russian market provided for EUR 59.53 million of the group’s revenue, the Ukrainian market – EUR 28.93 million and the Polish market – EUR 10.47 million. Cheese & butter segment contributed approximately 38% to the group’s total revenue. Segment’s revenue increased by 19% to EUR 37.34 million, the whole-milk dairy segment – EUR 47.33 million (48% of total revenue) and the ingredients segment – EUR 14.26 million (14%). “In 9M 2018 Milkiland Ukraine focused on the development of sales of high value-added products, including innovative lactose-free cheese and whole milk products, primarily in the key accounts channel. The company also paid an attention to production and export sales of Kosher dry milk products and butter under the contract with key client from Israel,” the company said. In 9M 2018 Milkiland put additional efforts aimed at the entering to new and development of the sales at the existing export markets. 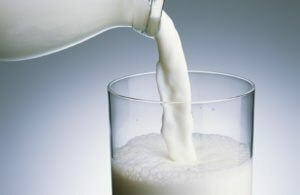 In line with these efforts, Milkiland Intermarket continued a development of the distribution network of the group’s dry milk products and butter in China. Additional volumes of cheese-like products were sold to the traditional market of the group in Kazakhstan, as well as other Central-Asian countries. The company also continued a fulfillment of the Kosher goods supply contract with the key client in Israel. JSC Ukrtransgaz in January-September 2018 increased net loss by 35% or UAH 5.671 billion year-over-year, to UAH 22.011 billion. According to a financial report of the company posted on its website, net revenue fell by 7% or UAH 2.84 billion, to UAH 36.688 billion, and gross loss rose by 73.7% or UAH 5.669 billion, to UAH 13.36 billion. As reported, in 2017, Ukrtransgaz increased net loss 4.4-fold, to UAH 24.181 billion. Net revenue grew by 31.2%, to UAH 51.181 billion, and gross loss totaled UAH 14.449 billion compared with UAH 1.948 billion of gross profit in 2016. 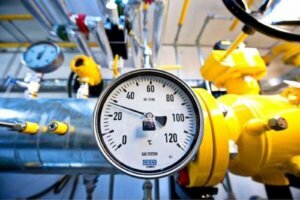 Ukrtransgaz, fully owned by Naftogaz Ukrainy, operates a system of gas trunk pipelines and 12 underground gas storage facilities in the country. 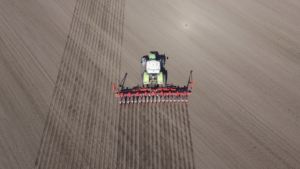 The Danish agro-company Agromino (formerly Trigon Agri) with assets in Ukraine, Russia and Estonia in January-June 2018 saw EUR 2.82 million of net loss compared with EUR 9.46 million of net profit a year ago. According to a report of the company on its website, total revenue, taking into account the adjustment of the fair asset value and stocks, fell by 8.5% in H1 2018, to EUR 27.24 million. Earnings before interest, taxes, depreciation and amortization (EBITDA) were negative, being EUR 1.8 compared with positive EUR 9.4 million a year ago. Consolidated assets as of June 2018 were estimated at EUR 58.32 million compared with EUR 46.77 million as of late 2017. In Q2 2018, Agromino cut net profit by 20.7% year-over-year, to EUR 8.14 million and revenue – by 9.5%, to EUR 20.25 million. As reported, Agromino in 2017 posted EUR 3.48 million net profit against EUR 25.08 million net loss in 2016. Revenues decreased by 17.6%, to EUR32.83 million. Agromino (formerly Trigon Agri) was established in 2006. It specializes in grain and dairy production, agricultural trade.